Recently I was reading about Jesus is praying on the Mount of Olives in Luke 22, and that heartbreaking moment when he returns to his disciples to find they have all fallen asleep and in v46 asks "Why are you sleeping? Rise and pray..." [come on guys, you had ONE job to do!] I really felt Him repeat that to me, "why are you sleeping Rebecca? Rise and pray!" I suddenly realised actually being at home with baby bear not having my brain stretched by a career is in fact an amazing opportunity for me to pray into all sorts of situations and petition God for things. Instead of sleeping away this time I should really enjoy and embrace this time (this privilege I have spending all day with my darling daughter) and I should be praying my socks off! Because at the end of the day, like on the Mount of Olives - someone's life could depend on those prayers!! So that's what I have started to do, I have started to pray more and actively look for things to pray for, people, situations, all sorts and there have been amazing things happen as a result. Right now there is so much going on in the lives of my family and I, for an outsider looking in it could well look like a chaotic nightmare! However to me (as well as that) I see prayers being answered all around me. Every day I see another prayer request be answered, that prayer might have been said six years ago, or six minutes ago! (I'm not saying every single prayer ever prayed in this family has been answered, one of the biggest prayers in our hearts is still being worked out and I do trust God is doing just that, working it out even now.) But in this time of upheaval and potential chaos we are seeing prayers both old and new answered and even old prophecies we didn't understand come to pass, which has brought real comfort in uncertainty. 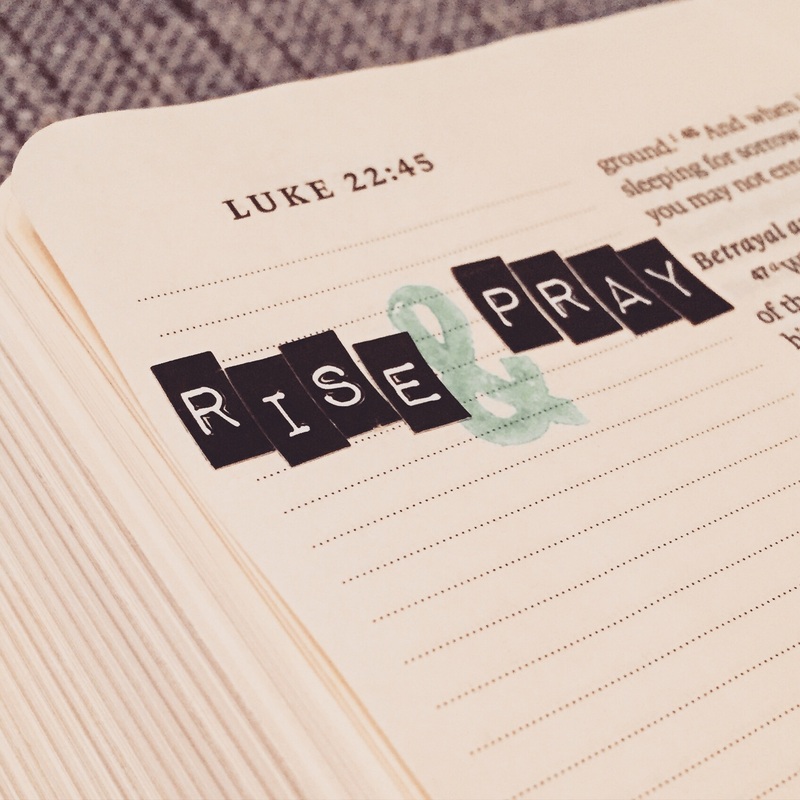 When I first got my journaling Bible and steamed my way through the New Testament two things really hit me. One of those was prayer - the number of times we are called to pray about/for things. That Jesus has given us everything, all we need do is ask. It seemed so simple and I guess in a lot of ways it is. As well as praying for the big things, I believe in praying for simple things like car parking spaces - much to the surprise of some around me. Some laugh, I've had a church leader not comment but give me a look that told me they thought I was being disrespectful, but it was a non-Christian friend who probably have the best response. "Aren't you worried you'll use them up?!" She asked, I was confused, "use what up?" I asked. "The prayers, surely if you waste prayers on car park spaces you will run out for the big stuff?!" This made me smile, the idea of prayer credits. You have a set number for life you could use gradually on small stuff of put several into getting an answer on a "bigger" prayer. I tried not to laugh and told her it doesn't work on a credit system, I cannot run out and God is interested in every part of my life (and hers) big and small. Then we found a space. I have to trust car park spaces to God, I find car parks too stressful otherwise. If I pull into what seems like a full car park with slow trawling cars all searching, it raises my stress levels and I just want to get out of there. I'd rather go pay to park on the street than go into the free busy car park! God knows this, because He knows me inside and out, quirks and all. He honours these prayers too. We went into town recently and I pulled into the car park to find it heaving, at least two cars slowly searching on each aisle - as soon as I see that I just want to turn around and leave. I said my prayer on the way in, but now I've seen the actually car park I want to go! So I take the way out before I've even started, following the slowest two space crawlers looking every which way for a space... I'm all ready to head off to the out of town shopping centre where parking is free and plentiful, when low and behold a huge space appears! Both slow crawlers have some how missed this giant space, as if an angel has been sat in a huge Hummer parked in the space until now. I cannot get over how the other two searchers missed it and how generous God is answering the smallest prayers, even when I've stopped praying them! Recently I heard an excellent talk the other day by Bill Johnson of Bethel, in which he explains the literal translation of the Greek for when the angel says to Zechariah "Do not be afraid, Zechariah, for your prayer has been heard, and your wife Elizabeth will bear you a son, and you shall call his name John." (Luke 1:13 ESV) is actually "the prayer you no longer pray has been heard"!! That's just amazing! I heard that and literally stopped the podcast so I could just soak in that revelation!! The prayer he no longer prayed had been heard by God and was being answered. That isn't an excuse to no longer bother petitioning God in prayer, by no means - scripture is full of instruction to pray, always! But the idea that when we feel too weak and overwhelmed and tired, that we give up hope and stop praying - God can still hear and answer those prayers... Wow! I knew He loved me, but this still blew me away!! Thank you Jesus!! So despite being nervous about the weeks and months ahead with all the challenges it potentially holds as well as joys it could hold... I am going to keep focusing on and thanking God for all the answered prayers that surround us; As well as keeping praying knowing he bends his ear to listen to my prayers!